A Sandbox to a developer/administrator is like a playground for a child, it allows the developer/administrators to customize, play and configure the application development environment without affecting the actual production release versions. Sandboxes in Salesforce are used for app development, code management, version control, testing, and training without compromising the actual data and applications in your Salesforce production organization. What do they include of Production Environment? A copy of production organization’s configuration (metadata). A copy of production organization’s configuration (metadata). They have a larger storage limit than Developer sandboxes. A copy of production organization’s configuration (metadata), and a subset of production data as defined by a sandbox template. Replica of the production organization. Make a practice to refresh the sandboxes after every release so that we make sure to leverage the new features and make sure that our environment is compatible with the new changes. Also, it’s recommended to have a strategy to align the org releases with Salesforce releases, in order to reduce the efforts for refreshing sandboxes. 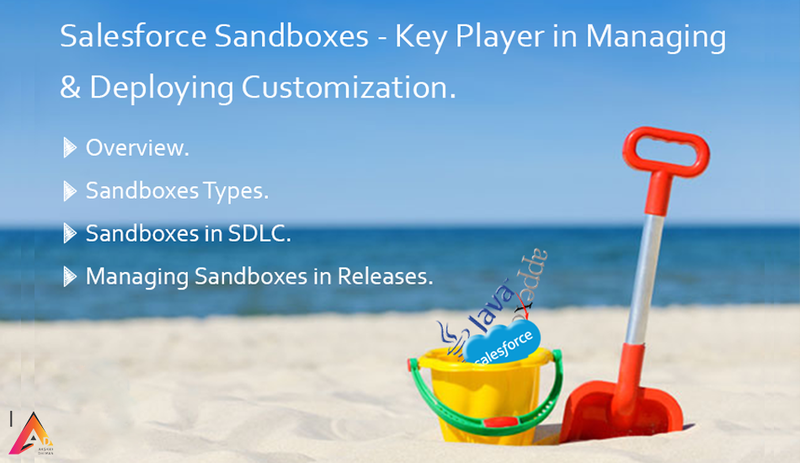 Hope this would help you in getting an overview of what Salesforce sandboxes are.